Last month I was lucky enough to get a whole weekend to myself to attend Handmade in Wellington. There was so much inspiration, from fun classes on handmade cosmetics and jewellery making, to wandering around the shops and cafes in Wellington, and actually being able to browse for as long as I wanted! One of the highlights was meeting the lovely Melissa Wastney from Tiny Happy. When I got home, I ordered a copy of her book Sweet & Simple Handmade. It's a really beautiful book, with so many lovely projects to make for kids. 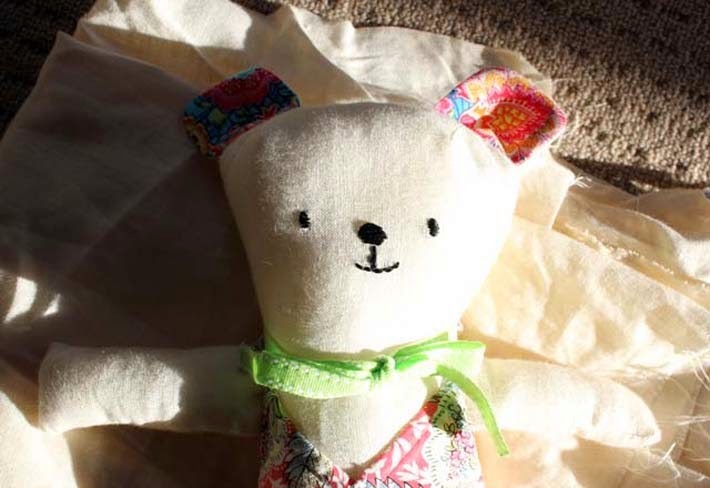 This is the first one I've made - the linen teddy. 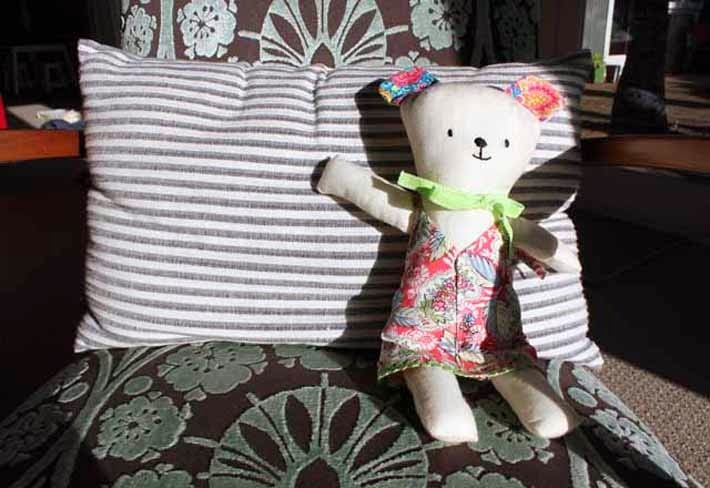 It was a really easy project to start with and I enjoyed making it, with a bit of input on fabric choices from the kids. I added the dress (which isn't in the pattern), just because I could :) It's for a little friend of ours who just turned one.